Hey all, if you follow along regularly you know that you can also find me over at Apartment Therapy every week offering some serious home decor therapy. Ok so maybe it’s not that serious. I just recently did two high/low features that were so much fun to put together that I wanted to share with you. I just love putting these together and the low look is always my favorite because it’s like a challenge for me to get the same look/feel without having a big budget. I thrive on thriftiness. Don’t get me wrong though, I think it’s great to mix and match and love to splurge on special pieces every now and then. 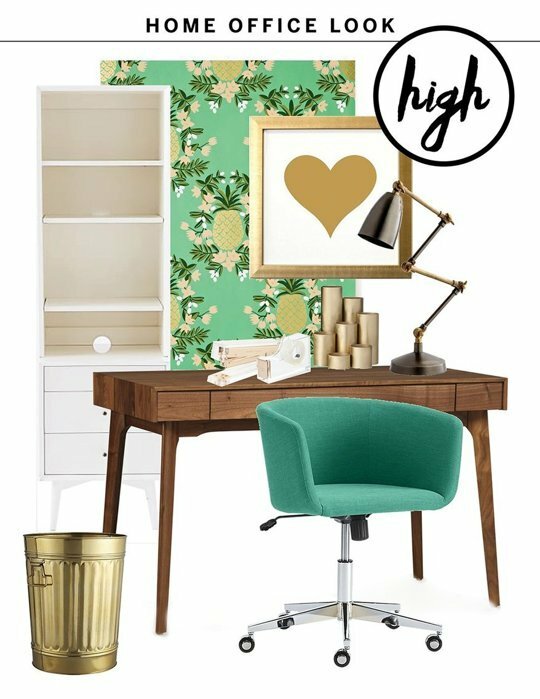 Here’s a high and low fresh home office look. 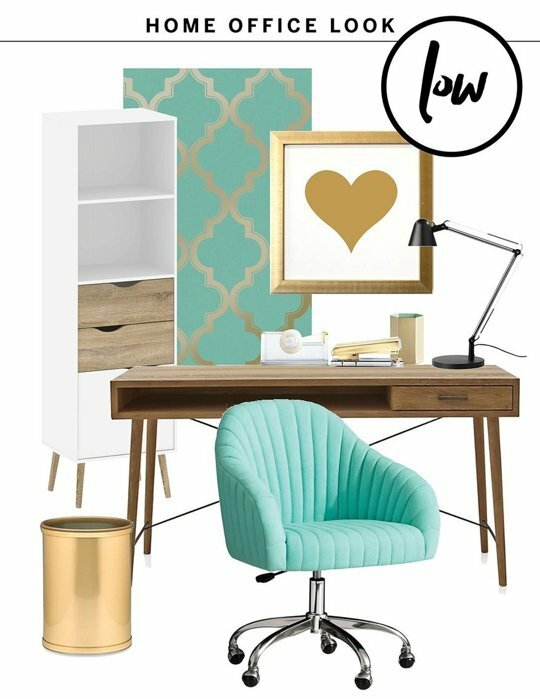 Check out the full post on Apartment Therapy for all the shopping resources for this office look. And here’s my high/low casual dining space. 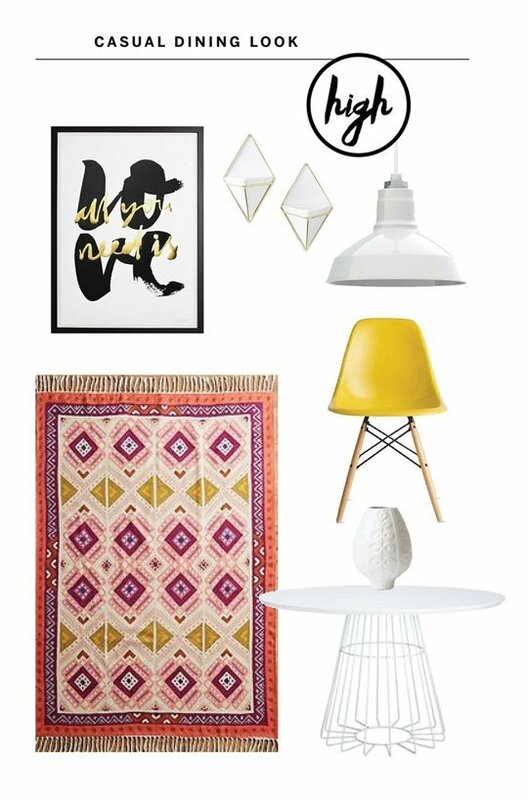 Check out the full post on Apartment Therapy for all the shopping resources for this casual dining look. 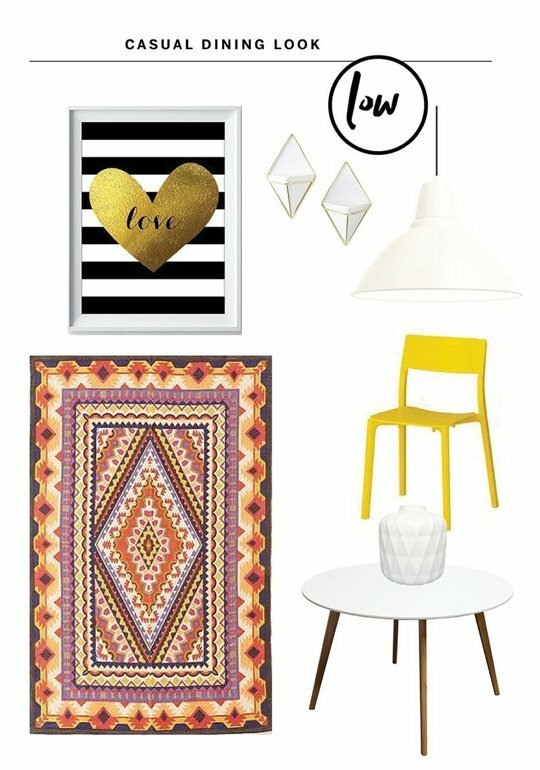 If you liked this post, check out more home decor post in our Spaces section. Love the looks you’ve created for both spaces! You can hardly tell the difference. I love the challenge of creating beautifully thrifty spaces too.